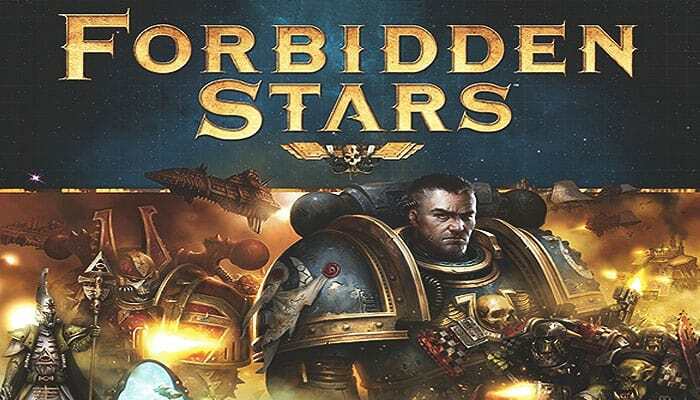 Forbidden Stars is a hand-management board game of galactic warfare set in the Warhammer 40,000 universe. Two to four players command the Space Marines, Orks, Eldar, or Chaos Space Marines. Each faction seeks to reclaim ancient relics of the Herakon Cluster and sites of power that are vital to their survival. To accomplish this, they must bluff your opponents, harvest resources, build massive armies, upgrade their forces, and conquer the worlds of the long-lost Herakon Cluster. Each round has 3 phases and unique actions can be taken during them. Players should maximize their faction's strenghts (unique armies and play styles) and exploit their opponent's weaknesses to claim their objectives and finally win this game. After a player moves units using an Advance Order, he must resolve a combat if he has units on an area containing both friendly and enemy units or structures (i.e., a contested area). During combat, the player resolving the Advance Order is the attacker and the other player is the defender.